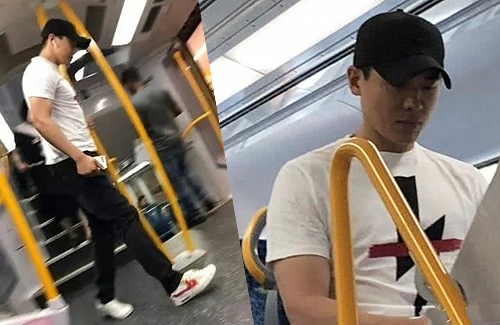 Currently awaiting his hearing and the jury’s decision on his sexual assault case, Mainland Chinese actor Gavin Gao (高雲翔) was witnessed taking the bus alone in Australia. Since his arrest last March, Gavin spent over three months in jail and was finally released on bail last July. The ongoing trial has stressed Gavin out, and put him in a financial pinch. In January, all of Gavin’s assets in China have been frozen and netizens have discovered his wife Michelle Dong (董璇) selling her possessions on second hand sites. It appears that Gavin is starting to feel a financial burden as he is choosing to take public transit to save money. 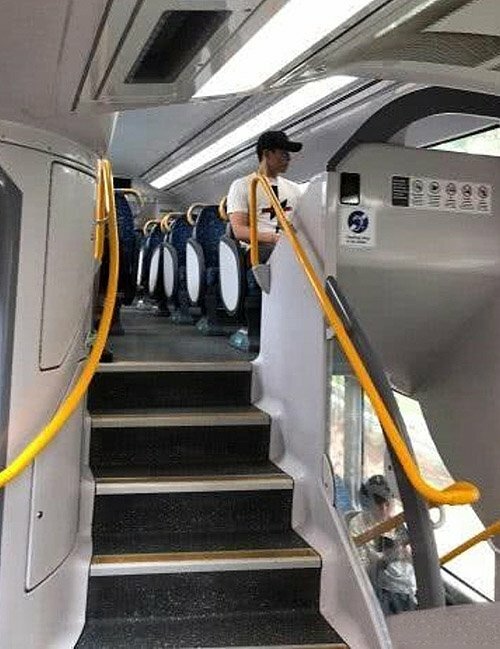 Possibly afraid of being seen, he chose to ride on the upper deck where there were fewer passengers. The witness stated that he looked very lonely. Previously, Gavin was also seen reading alone at the local library. At the time he had a swollen face and looked like he had gained quite a bit of weight. But this time on the bus, he looked much slimmer as if he was going to the gym regularly. The closing arguments for Gavin’s case is scheduled for October 21, 2019. If jury deliberations last six weeks, the court’s judgement will be made in December 2019. This article is written by Kiki for JayneStars.com. That’s a train, not the bus. I hope he sticks to off peak because public transport is expensive here! Damn!!! Been almost a year hasn’t it and he still got muscles left? haha Lol…The wife looks quite skinny after all that.